We know that you need more than just a place to deposit money. You need a credit union that is a one-stop shop — so you can get in, get it done, and get on with life. We provide an array of additional banking services to help you do just that. Can’t find something? Feel free to contact us! Stop by your nearest branch to take advantage of one of these helpful services! Traveling far away from home and need to visit a branch? No problem! 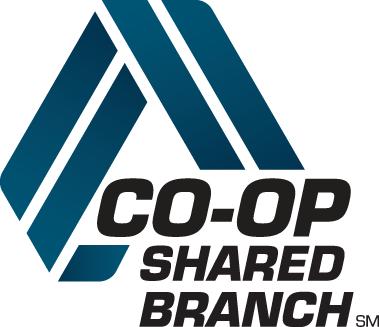 Through our partnership with the CO-OP Network, you have access to over 5,000 shared branches across the United States. Simply bring your ID and account number to make deposits, withdrawals, loan payments, and more. Find a shared branch online. You already know that debit cards make it easier to shop, reducing the need to carry bulky checkbooks or conspicuous wads of cash around. But did you know that now you can get a WinSouth debit card instantly issued to you at one of our participating branches*? It just takes a few minutes, and you’ll be back to your day. Debit cards are available to qualified members upon request at all locations. This card accesses both share and share draft accounts. *Participating branches: Main, City Branch, Rainbow City, Albertville and Ft Payne Branch. Some fees and conditions may apply. Instant Issue only applies to in-office visits. Please call us to verify countries that accept Visa debit cards before traveling. Through Visa® Purchase Alerts, WinSouth debit and credit cardholders can receive purchase alerts via text or email for eligible Visa® Cards. All you have to do is create an account. Security: Receive alerts for transactions in real-time and catch potential fraudulent activity. Convenience: Customizable alerts through SMS text or email. Check to see if your card is eligible*. Register your mobile device and email to receive Visa® Purchase Alerts. Choose the notifications that match your needs, such as transactions exceeding a set amount. *Not all card issuers will allow cards for SMS message alerts. Message and data rates may apply. Learn more about iTalk, or call 1-800-728-1412 to get started. Move money across the county, state or even country with ease. We offer our customers domestic wire transfer capabilities. The fee for incoming and outgoing domestic wires is $10. Skip payday bank trips and have your checks directly deposited to your WinSouth checking and/or savings accounts. Simply print out our online form and complete or pick one up at your local branch. View Direct Deposit Form (PDF).